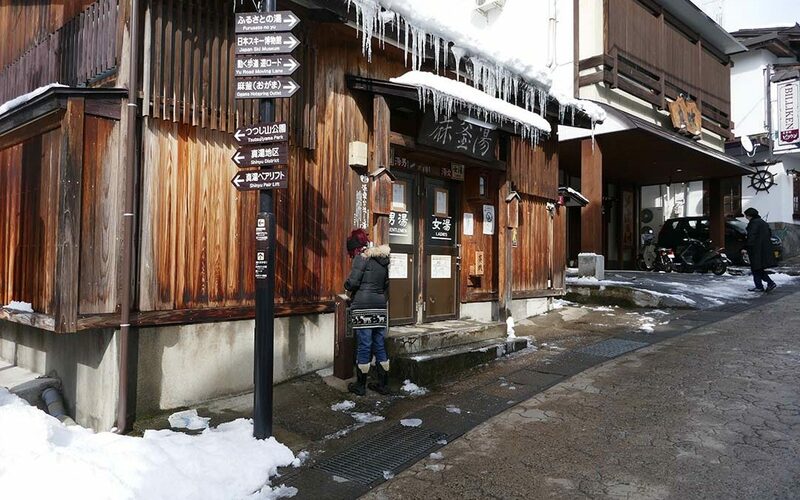 A pub crawl with a difference is doing An Onsen Crawl in Nozawa Onsen, Japan. 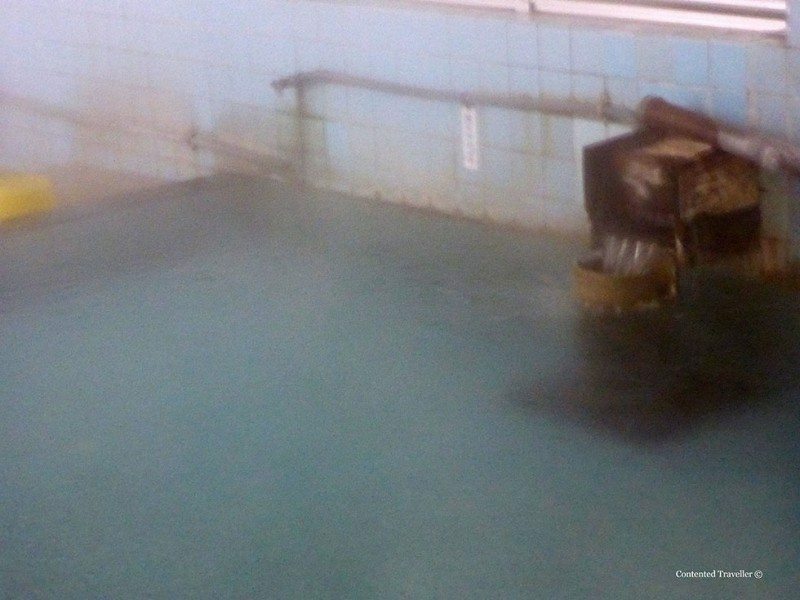 The onsen in Japan are the naturally occurring hot springs, and throughout the village, there are 13 public and free onsens for people staying in the village. 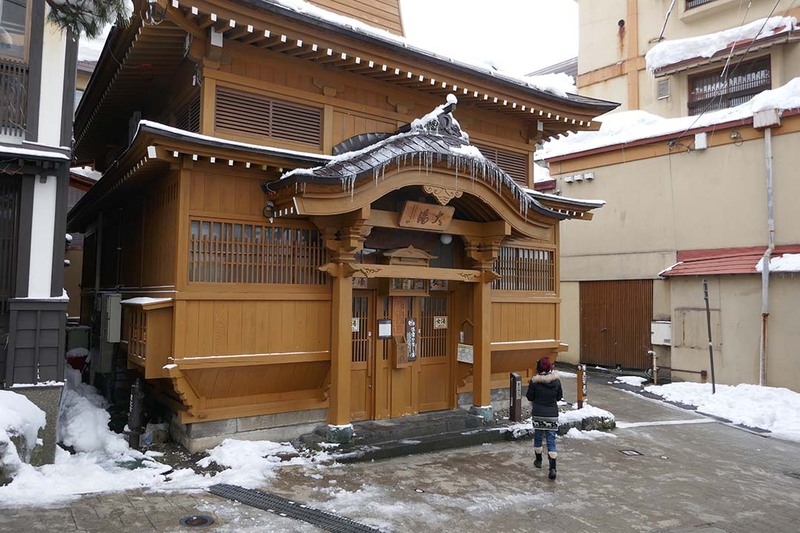 These are the public bathhouses that the local residents use daily, and that we do too when we visit annually. There are considerable health benefits from the nutrients in the water, particularly after a day of skiing the deep powder. To get a feel of why we love this village, watch this short clip. 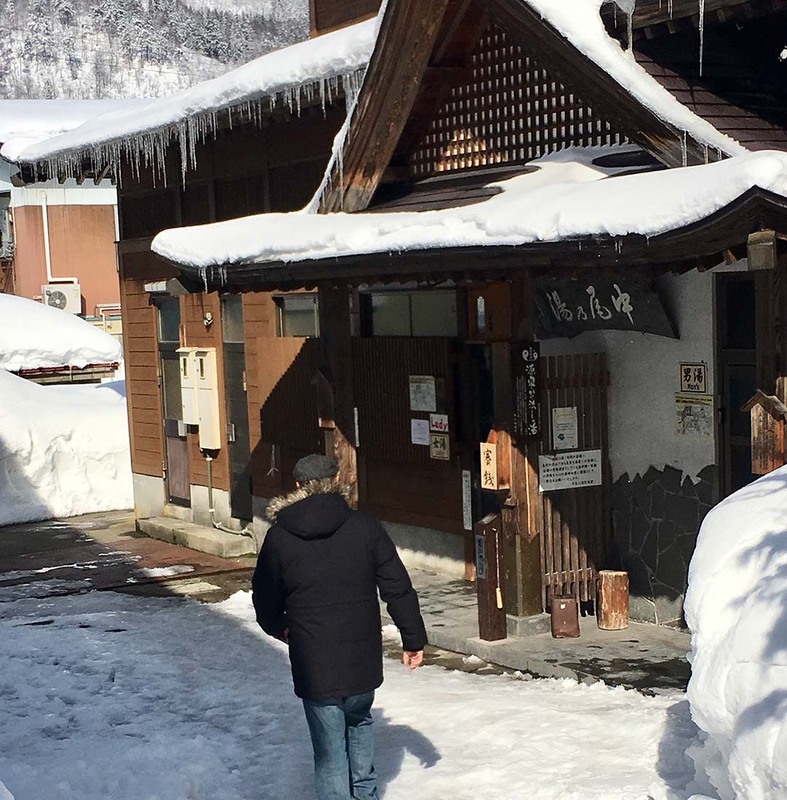 6 So check out our efforts in our onsen crawl in Nozawa Onsen. Technically, you should actually bathe at each of the 13 public onsens, because each have different types of water. 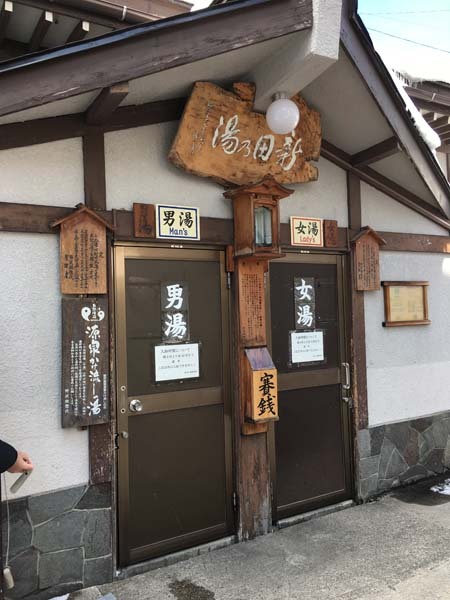 For example, Yokochi-no-yu Bathhouse is especially good for skin diseases, and Taki-no-yu Bathhouse is good for people recovering from serious illness. Asagama-n-yu Bathhouse is a favourite bathhouse with the local people and the original onsen is said to be Kumantotearayu Bathhouse. 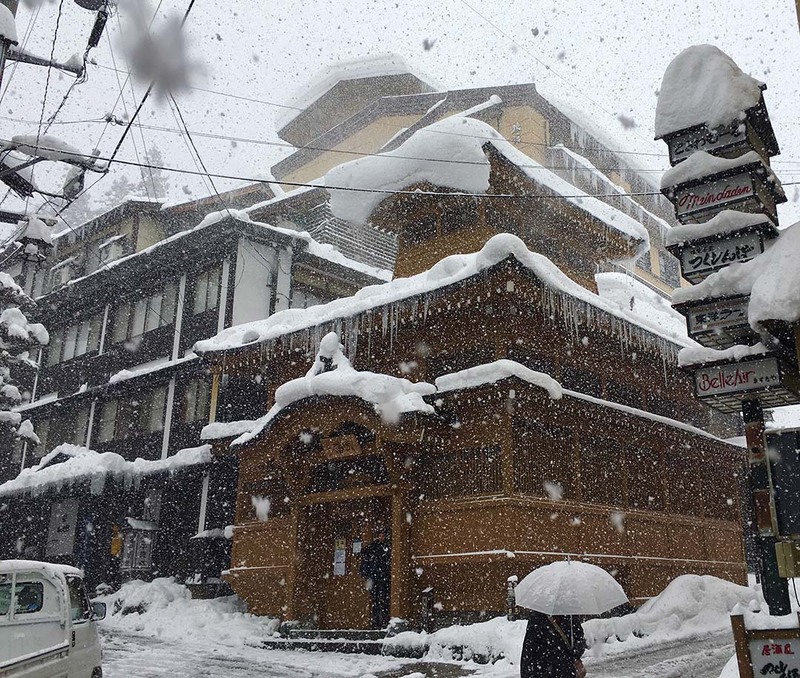 Nozawa-onsen-mura, the official name, is a small village located at the foot of Kenashi-yama, a mountain that has a gensen at its center. These are the places where hot spring water flows from the earth. 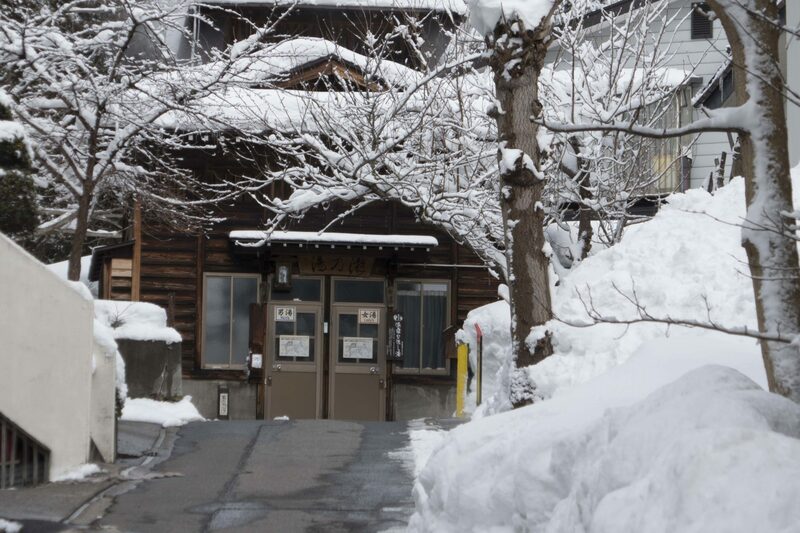 As a volcanically active country, Japanese onsen uses natural hot water from geothermally heated springs. According to the literature of the village, the first onsen was built in the Middle Ages for a samurai warlord to soothe his ravaged body. 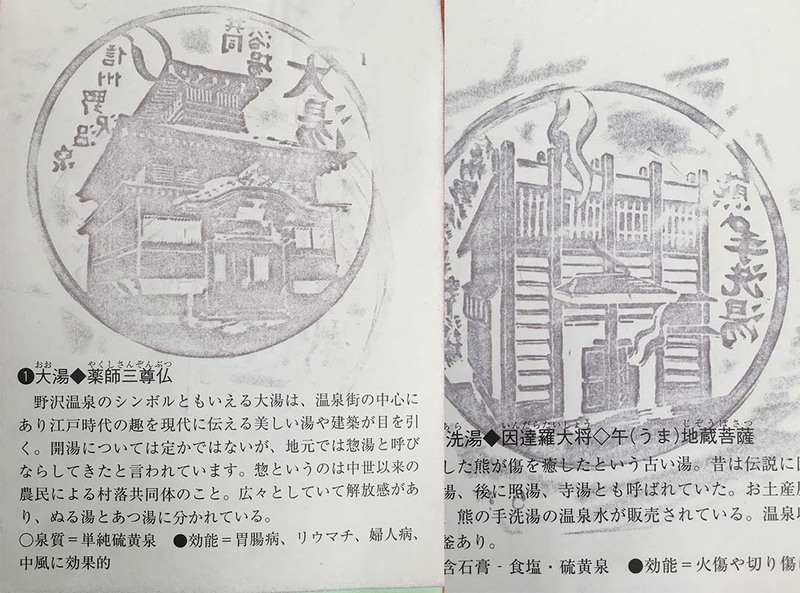 This is when the onsen rules of usage or etiquette evolved, and are still adhered to – to this day. You can read more about it here. In Japan, onsen is a huge part of Japanese culture and lifestyle that has been practiced for many years. It is not just about getting clean, but is creates ‘zen’ for the mind, spirit and body. It was a less than a spectacular day on the slopes. 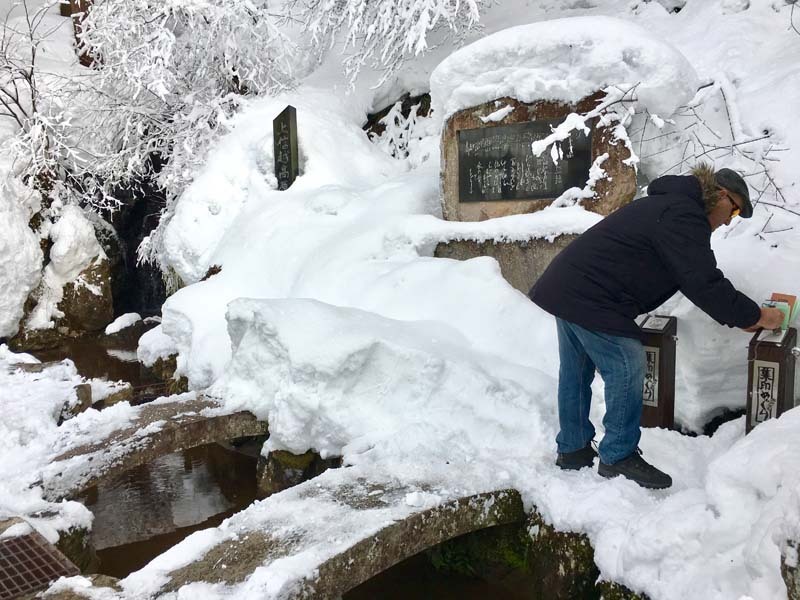 In saying that it was dumping down so hard that visibility was a little treacherous, so we decided to do the onsen crawl. 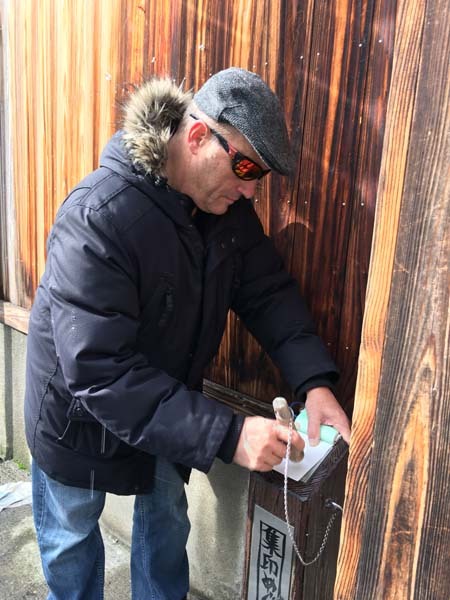 This involved stopping by the Nozawa Onsen Tourism Association office and paying a nominal amount for a stamp book. 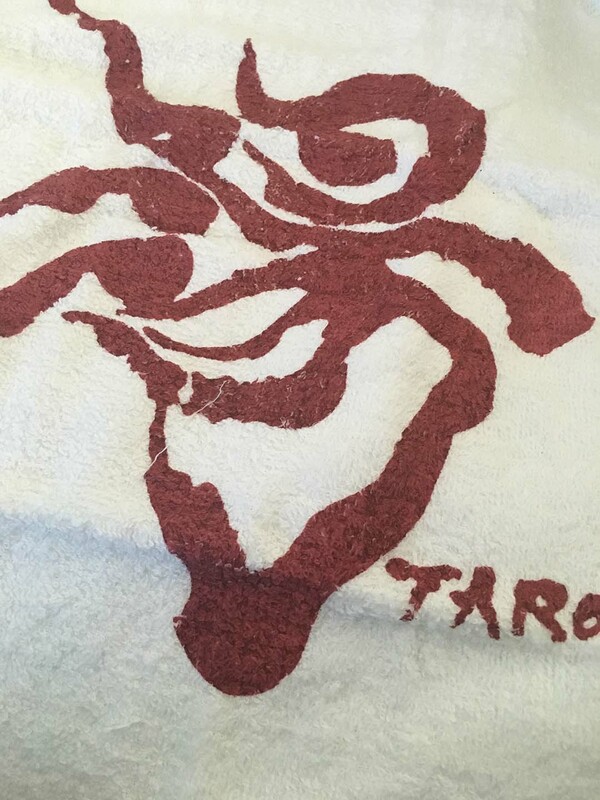 The aim is to discover at least 10 of the onsens in the village and to get a rubbing from the seal outside of the onsen, and return to the Tourism Office to get a free gift, which fittingly is an onsen towel. 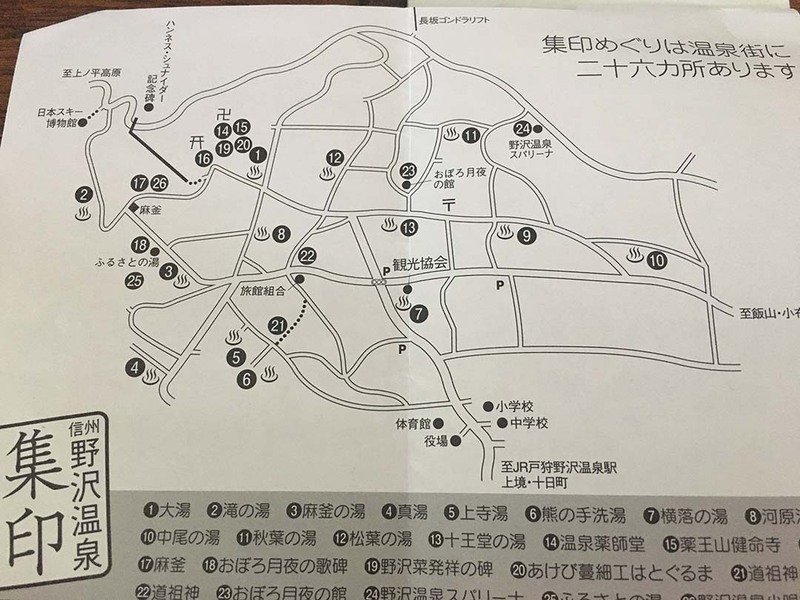 Don’t expect the map to be overly accurate in trying to find all of the onsens and the public places of interest, but it was part of the fun in getting lost in the back and winding cobblestoned streets of the village. 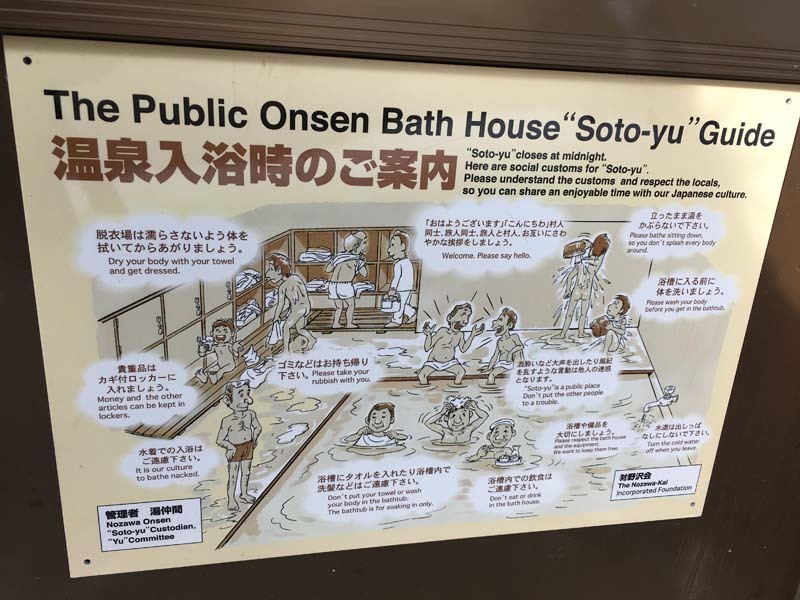 Don’t expect any of the explanations of the onsens to be in English, but they do have numbers, will which help you on your onsen crawl. There are 13 onsens, and 12 public points of interest, so the aim is to get all 25. I will note here that it is impossible at this time of year, and through the winter months, as some are buried under snow. You also learn interesting things on your voyage of discovery. 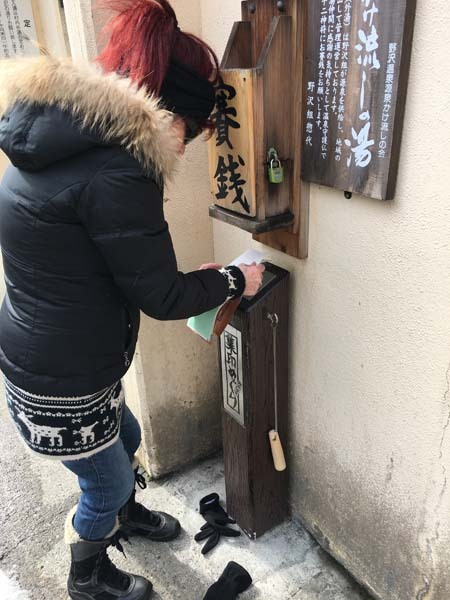 Outside every onsen and many public sites is a pole about half a meter high…and often buried a considerable way with the snow, so it is a treasure hunt. On the top of each pole is a square metal plate with a picture of that particular onsen on it. Hanging from the pole is a wooden stick. 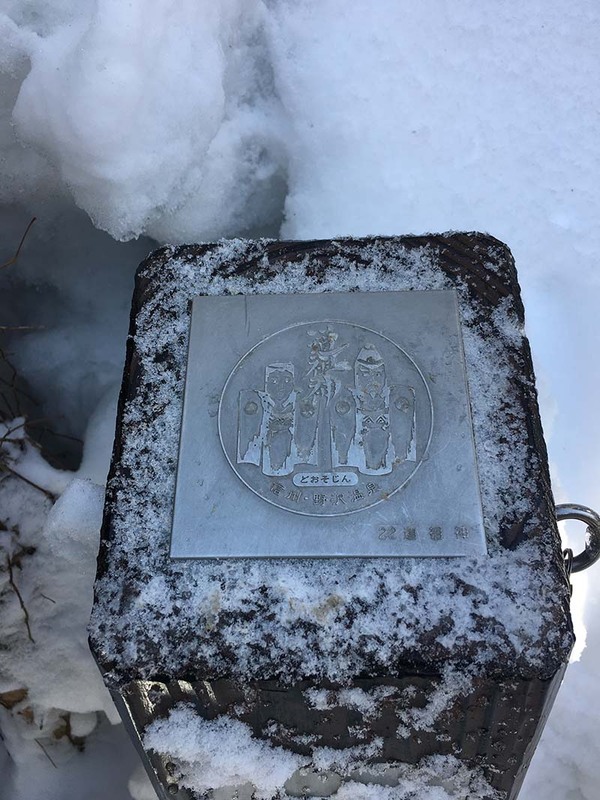 Once you get to the onsen or public site, locate the pole (not always easy), find the square metal picture at the top of the pole. On the bottom right-hand corner of that picture, there is a number. You then find the corresponding numbered blank page in your stamp book. Place the green carbon page down first on top of the square metal plate followed by the white page which has the matching number on it. You then-then rub the pages on the metal plate forcefully with one of the wooden handles attached to the pole. When you have finished, you’ll have made a stamp/impression on the white page in your stamp book. Some of the stamps will turn out better than others, as in Gordon’s were so neat and mine were a mess. More of that later. Trust me it is not as easy as it sounds, especially since many of the poles are buried in snow, and the map is a little unusual. But it is a quest. Each is distinctive, and each has their own unique properties. Locals have their definite favorites, as do return visitors like us. Here is a hint: the lower down the village, the less hot the onsen will be as it is further from the source. In saying that, expect the onsen to be hot. 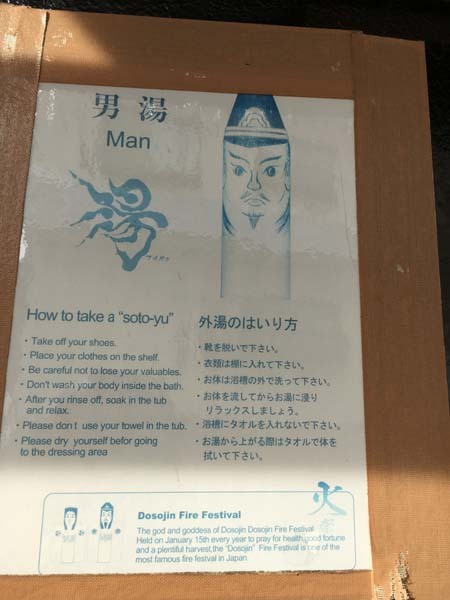 And another hint: do not move a muscle once you have slid into the onsen. It is the extremities with a lot of nerve endings that will make you grit your teeth. 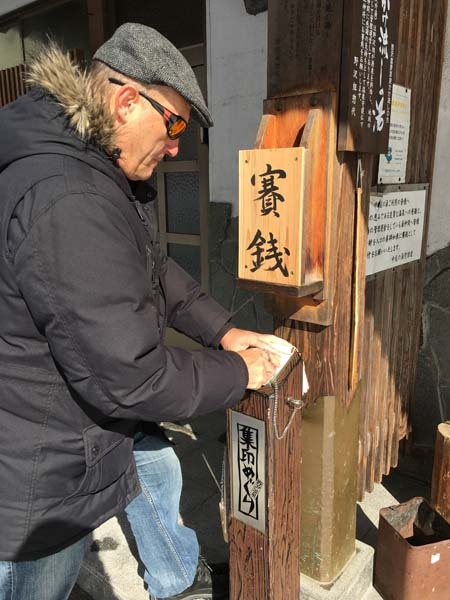 So check out our efforts in our onsen crawl in Nozawa Onsen. 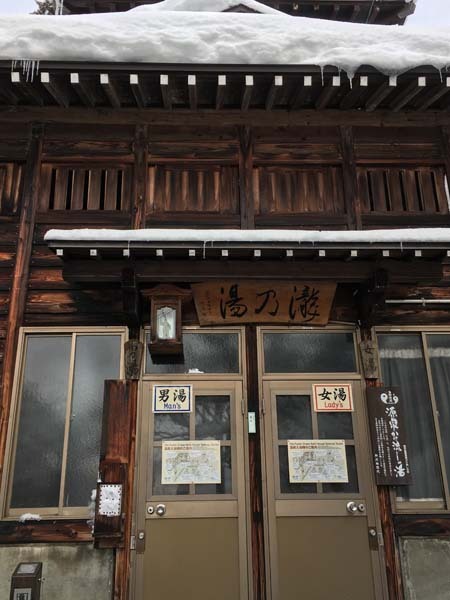 O-Yu Bathhouse (the main Soto-yu in the village, the symbol of Nozawa-onsen—is the largest and grandest bathhouse building among the Soto-yu. 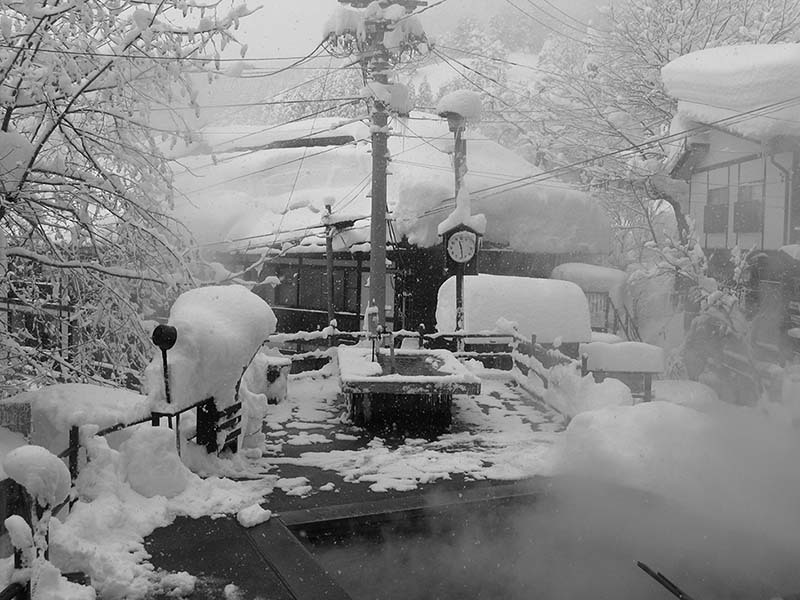 The hottest of the onsens is the Ogama Onsen is approximately 90 degrees Celsius and used by locals to cook the famous onsen eggs and vegetables. The water temperature of the foot spa is 42 to 43 degrees Celsius, so is hotter than an ordinary bath. You just take off your boots, roll up your pants, and Soak your feet and legs up to about ten centimeters below your knees for ten to twenty minutes, and watch the world go by. When your forehead starts to sweat it’s time to leave. Trust me if you make past 10 minutes you are doing well. We eventually returned to Tourism Office having collected 19 of the 25 and discovering a lot more about the village. We were able to get locals to help us by pointing us in the right direction, and that is always a good thing about travel. It was a fantastic day doing an onsen crawl. 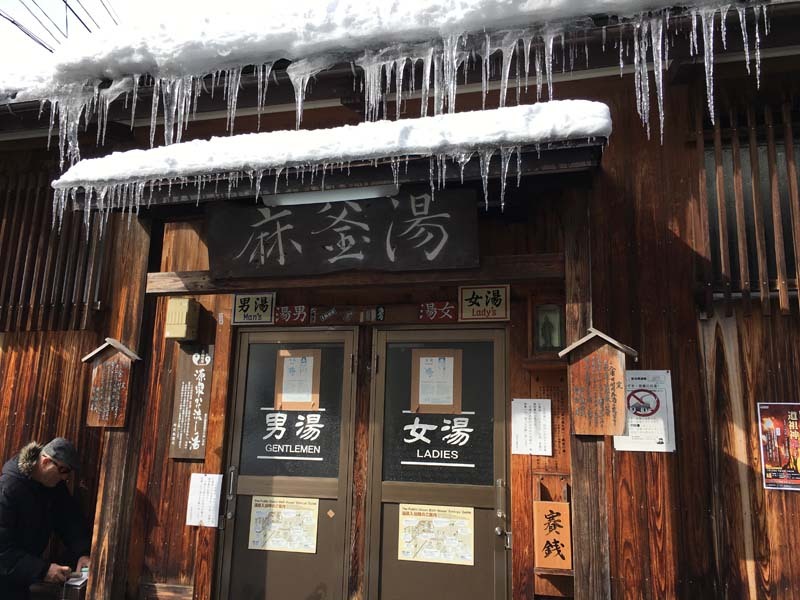 Despite having been to the Nozawa Osen for many years, we discovered new and different things. ..and had a great time. We look forward to heading back here for skiing with our teenage boys in a couple of months. We didn’t know about this last time we were here and will love this adventure and gain more knowledge about this beautiful place. Thanks very much for the detail. Where are you going? Japan is an amazing place, and the skiing is epic. It was so much fun, and we saw parts of the village we haven’t seen before. This sounds like such an interesting experience. The videos helped. It looks like a great way to experience the local culture and keep warm. We’ve never been to Japan during winter so we’ll have to look into this when we do. I love Japan in the winter, and much as my hands were totally frozen, it was such a fun day. This is a very interesting tradition. I’m not so sure about the 90C cooking bath and what the woman is doing in the video. I do like the idea of different temperature hot tubs and soaking for a while. 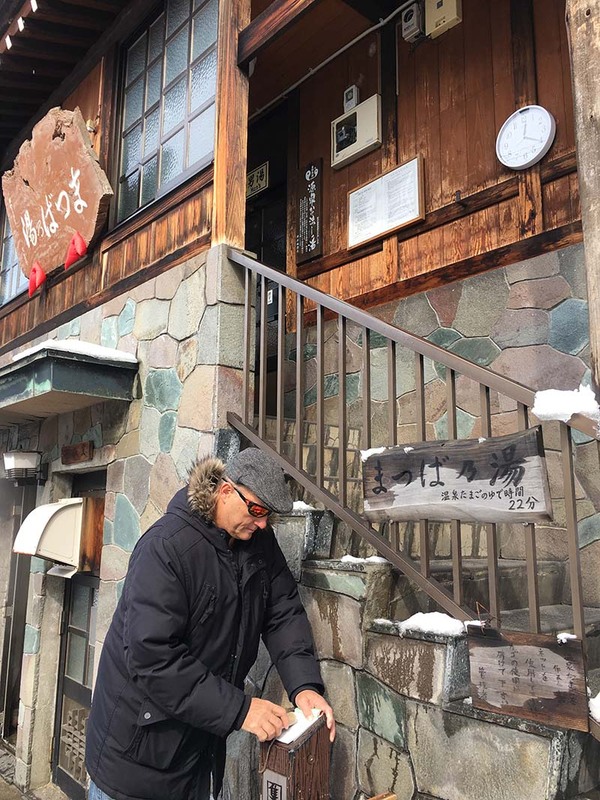 I should have explained – the locals cook the famous onsen eggs in this hot cooking onsen. They are the very best eggs I have ever had in my life. She was warming them and taking it back to her little hole in the wall cafe.